We believe Winter Park is a particularly good investment at this time for the following reasons. Winter Park is the only ski resort in North America with the potential for airport to resort train service. Buyer activity remains very robust and inventory remains low. Due to high sales volume, inventory is unable to build and prices continue to climb. New construction is underway, and developers are selling out pre-construction. If you are considering investing in a mountain property, we believe there has never been a better time to buy! 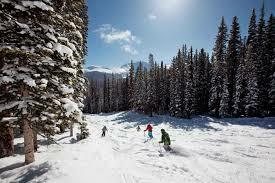 Winter Park and Grand County continue to be the most affordable resort area in Colorado with plenty of room to grow. A few years from now, there will be lots of people wishing they would have bought in 2017!